Estimated delivery 15 working days. 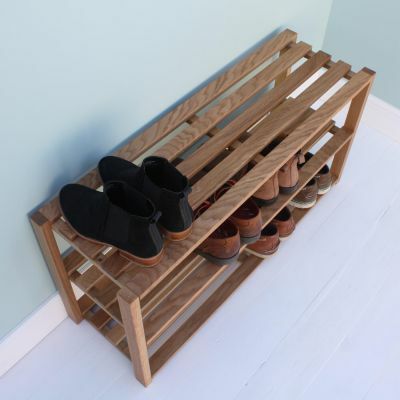 Designed to go perfectly above our oak shoe rack, this contemporary design is robustly made and provides a space efficient storage solution for your hallway. 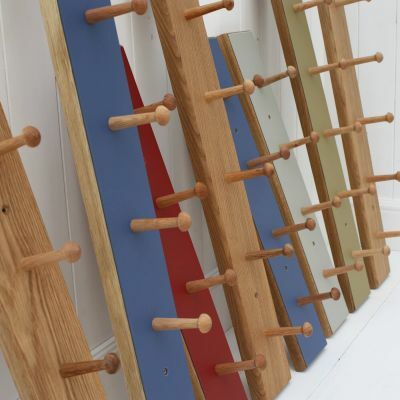 Just like our peg rails, we offer this design in a choice of colours as well as entirely in natural oak. 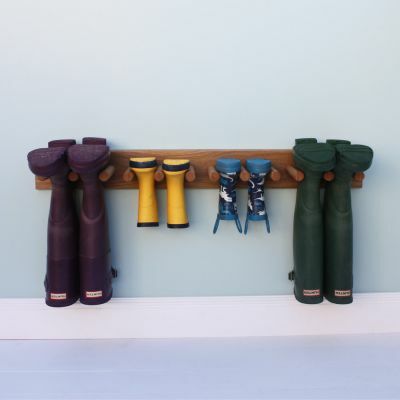 Available in three standard sizes. If you're in need of a very specific length please contact us and we will be happy to help. Oak finished with Danish oil, with the optional addition of coloured furniture lino.